Meet the walking alter egos talking earnestly to their proclivities. “I know that I don’t need to eat sugar and that sugar is as lethal to me as meat or caffeine or women. I realize that I don’t have to live the kind of life where I crave the delights of the flesh. When I'm lured up against the shoals of pastry eating, the Scylla and Charybdis of chocolate, I know it’s my disease talking to me. 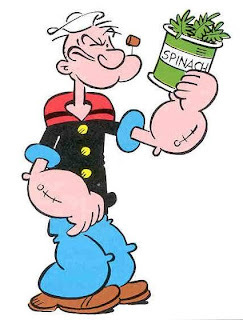 It’s not the real me.” Some people exhibit their alter egos like Popeye his muscles. But walking alter egos, are not harmless. With their determination and glazed eyes, these alter egos often resemble the doppelgängers in The Invasion of the Body Snatchers and with with their robotic talk, The Stepford Wives. Walking alter egos can make you feel like you're suffering from Capgras Syndrome, a neurological disorder in which people seem like impostors. Indeed, these alter egos may cause viscosity in pedestrian situations that can result in traffic snarls. What to do when confronted with an insistent sounding alter ego in heated conversation with its other half? The answer is that it's hopeless to separate them. A walking alter ego is on a mission. Getting in its way is not as bad as surprising a bear raiding your garbage. You do not have to shoot it, but it's also important not to try to talk it out of its self-justifiying behavior. Above all don’t interrupt--especially with permissive sounding liberal pieties like "that's not so bad," "I’ve done that to myself too,” or “I can ID that." Walking alter egos will not be reasoned with, nor will they be convinced that the programs they propose are overly extreme or harsh. Moderation is not what alter egos want to hear. Nod knowingly when confronted by a walking alter ego and remember not to take it personally. It’s not you it's talking so prescriptively to. It’s just another part of itself.